Porcelain veneers in Casper are a popular cosmetic dentistry treatment that can fully transform a damaged smile. If you are tired of your imperfect front teeth and are interested in how it can be improved with beautiful veneers, keep reading to learn more from Casper’s trusted cosmetic dentist, Dr. Erin M. Prach. Porcelain veneers are thin coverings of dental porcelain that can cover up cosmetic imperfections affecting the teeth that show when you smile. Veneers are custom-crafted to match the precise color, shade, and shape that suits you best. 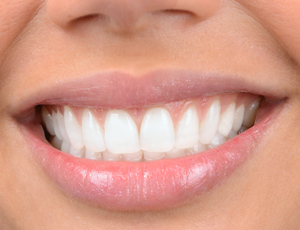 Veneers are usually placed over the course of two visits to your dentist in Casper’s office. During the first appointment, we will build the treatment plan and do all the prep work. A thin sliver of tooth enamel must be removed to ensure the veneers appear completely natural in the smile. Then, an impression of the teeth is created. This information is sent to our partner lab along with the details of your treatment plan. Here, the veneers are crafted from high-quality dental porcelain. You wear temporary veneers in the time between appointments. Once the veneers are complete, you return to our office for their placement. Your dentist then removes the temporary veneers and give you the first preview of your new smile. Once we are sure they look just like they should and have made any necessary final adjustments, a special bonding agent is placed onto the surface of each tooth and the veneers are placed. And the results? Fabulous. We know you will love your new smile! 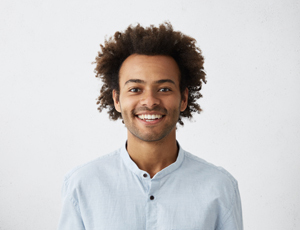 Adults and older teens who have cosmetic imperfections affecting otherwise healthy teeth can usually benefit from porcelain veneers. 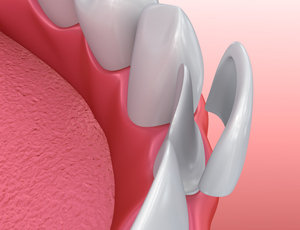 If your teeth are damaged or have sustained structural issues, you may need a more restorative solution like a dental crown. And while veneers can cover up minor orthodontic issues for an “instant braces” effect, people who have serious dental misalignments will need to undergo traditional orthodontic treatment. Dr. Prach can let you know whether or not you are a great candidate for veneers during a cosmetic consultation. If you are interested in getting porcelain veneers, don’t wait to find out if they are right for you! We invite you to reach out to your cosmetic dentist in Casper to discuss your options in cosmetic dentistry. Contact us to schedule an appointment today!